You might have heard from others or read online that when your shower door, window, tabletop, shelf, or even phone screen protector is made of tempered glass, it is certainly tough and secure. Built through a process of extreme heating and rapid cooling, this glass is definitely stronger than the commonly used regular glass. With this knowledge, can you confidently say that your tempered glass will never break? The answer is no. 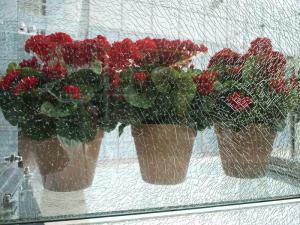 Tempered glass is known as a safety glass. In fact, architects and construction experts will recognize it for its safety benefit. However, even if it is tough, it does not mean that it won’t break or shatter. Unlike the regular glass, though, it only shatters into small pebbles, without the dangerous piercing edges, when it breaks. That is the safety edge of it. Nevertheless, what are you going to do when your glass shatters? If you ordered it online and you find it damaged when it arrives, you need to call your supplier to check for the return policy. If the glass has been with you for a long period and it shattered for no clear reason or causes you cannot explain, you should call your manufacturer and ask about warranty or replacement methods. Keep in mind, though, that not all suppliers offer warranty for glasses. It is still best to call a glass consultant so you will get the best assistance you need. So if your tempered glass shatters, talk with the experts and let them check your glass immediately.